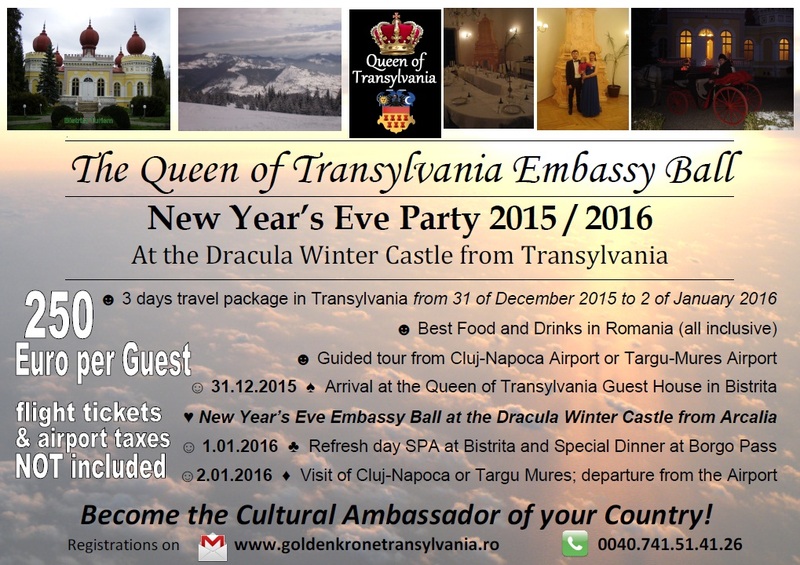 We invite you to the Queen of Transylvania Embassy Ball: the top New Year’s Eve Party 2015 / 2016 from Romania at the Dracula Winter Castle from Transylvania. ☺2.01.2016 ♦ Visit of Cluj-Napoca or Targu Mures; departure from the Airport. Become the Cultural Ambassador of your Country! Next story Sighisoara: the town of Dracula? !